The Haas School of Business (University of California-Berkeley) and the Sorbonne Business School are organizing a series of workshops on Organizational Economics. 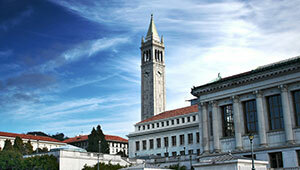 The first workshop took place in 2015, and was organized at the University of California Berkeley. The second workshop took place in 2016, and was held at the Sorbonne Business School, with the support from the Institute for Business Innovation at the Haas School of Business, the Jeffrey A. Jacobs Distinguished Professor Chair in Business and Technology, and the Paris School of Economics — OSE Labex. The third workshop was held at the University of California-Berkeley, on the 7th and 8th of April, 2017. The fourth workshop took place at the University of Paris Panthéon Sorbonne, on the 13th and 14th of April, 2018.